Sergio Gargelli, known as Sergio in futsal world, was born in Italy in 1974. 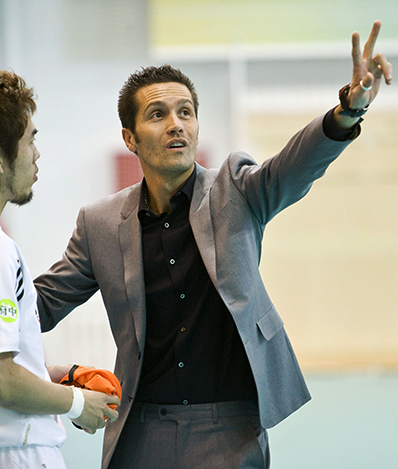 Married with Ikumi and father of Emiliano, can be defined the globetrotter of futsal. Can speack fluently English, Spanish and his mother tongue Italian; also can communicate well in Japanese. He started to be futsal coach from US Limite a team where he also started to play football at the age of 5 years old. From there one Year to Valdera and then the calling of Prato C5 (where some years before was entered in contact with Jesus Velasco, one of his mentors) where leaded the Under 21 and Juniores (both league won) and assistant coach of Pippo Quattrini in the first team. After a stage with Fuchu Atheltic in summer 2007, the Japanese team decided to hire him, and at the end of 2007, Sergio full of enthiusiasm and passion decided to accept the challenge and moved to Tokyo. His globetrotter spirit and his love for Asia, who consider a second home, due to the reading of books of his fellow citizen Tiziano Terzani, gave him the final push. The beginning in Japan was quite difficult, without a translator, the language was a big barrier. Tenacity and Commitment are 2 values which are deep rooted in Sergio's personality, after 6 month he was completely ready to communicate in Japanese and the final of the first Season was a Rossinian growing up, with the victory of the Japan Cup. During the second year leaded the team in its first season in F-League. 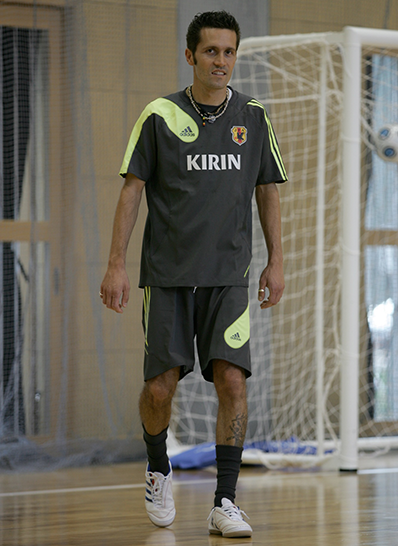 In June 2009 Miguel Rodrigo (the other Sergio's mentor) became head coach of japan National team and JFA asked Sergio to enter in the staff of National team as Assistant coach and Keeper coach. 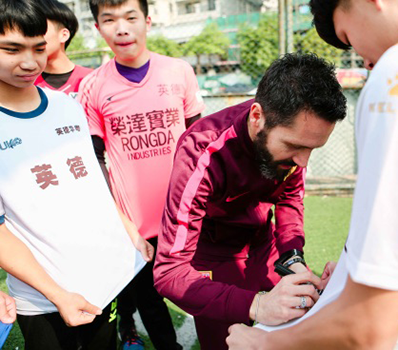 Together with Rodrigo put the foundation which brought Japan to win 2 Asian Cups. In Japan, Sergio met the woman who will become some months later his wife, to make stronger the link between him and Asia. The Spanish and the Italian, together in Japan decided to create Futsalsolutions, one of the main company for the futsal promotions in the world & the Methodology Futsal for Football. After 2 years in Japan, decided to accept another big challenge, Mr. Tu from Vietnam called him to try to qualify Vietnam for the first time in the history to the final round of Asian Cup. Courage is another quality that is not lacking in Sergio Personality. Target achieved and 2 months contract which become 4 years, and one of the most amazing experience of his life. Lots of excellent results brought Vietnam from 97 to 41 in Fifa Ranking, put the base of the system that brought Vietnam to qualify to world cup. 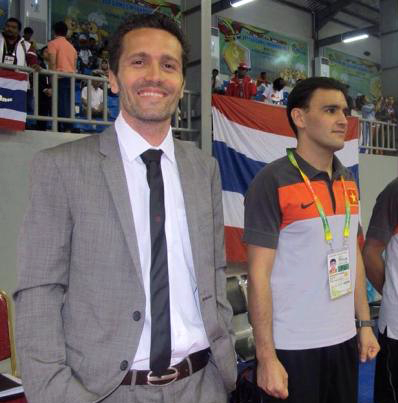 Adding to this the victory to Brazil: one historic day for Vietnamese & world futsal. After the historic victory vs. Brazil, leading Vietnam team (until today the only Asian National Team who have beaten Brazil in a regular game) has been nominated for BEST COACH OF THE WORLD in 2013. Closed the experience in Vietnam, the banned of Indonesia from international competition closed before to start another challenge, so after some months and contact with 2 main Italian Serie A clubs, the call of Asia made him accept the offer of Qatar Club first and Shahania later, for 2 years in middle east, interrupted by a short experience in China, leading Dalian to the Victory of China Cup in summer 2015. Together with Qatari Clubs first and Dalian later has been coach of Norwegian National team from autumn 2016 till 31 december 2017, starting the process of reform of Futsal in the Nordic country and brought Norway to an Excellent 3rd place to the Nordic Cup 2017.